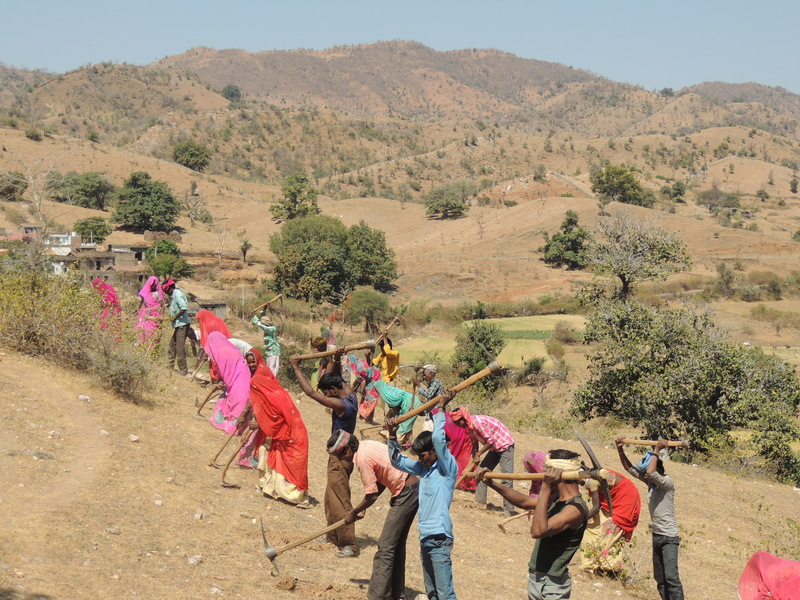 The Pune-based Watershed Organisation Trust was on Sunday awarded the prestigious UNCCD Land for Life Award for its work in combating land degradation. The UN Land for Life Award is awarded every year on a global level to organizations who help communities suffering from the effects of land degradation, in line with the UN Sustainable Development Goals. The award was received by Crispino Lobo, Managing Trustee of WOTR, in Ordos, China on Sunday, July 30. The WOTR grew out of the Indo-German Watershed Development Project (IGWDP) started in 1989, by Father Hermann Bacher, considered the father of the watershed movement in India. Lobo has worked for over two decades in this sector. The WOTR was awarded for its work across 7 states in India, restoring 8,913 sq. km of degraded land and directly and indirectly benefitting 1.38 million people. Besides their sustainable land management approach, water budgeting and micro irrigation has made communities in drought prone areas more resilient and benefited at least 355,832 people. In addition, WOTR’s works have contributed to the reduction of rural to urban migration and has created substantial local employment opportunities in rural areas. It has also trained over 380,000 people from India and various countries across the world in natural resources management and watershed development. WOTR works in land restoration, poverty reduction and climate change adaptation as well as leads in capacity building, empowering vulnerable communities and women, and advocating its WSD approach at the state and national levels. “The winners show that restoration of degraded land can halt distress migration that is driven by unproductive land resources. Families and communities are transformed and become more resilient towards climate change when job opportunities are created. When practices like these are amplified globally, sustainability, stability and security of all is possible. It only requires political will and decisive action against losing more productive land to desertification,” said Ms. Monique Barbut, the Executive Secretary of the United Nations Convention to Combat Desertification (UNCCD).